OXFORD, Miss. – As the world mourns the passing of George H.W. Bush, former administrators and staff at the University of Mississippi are reflecting on the 41st president’s campus visit more than three decades ago. 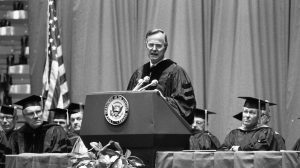 Bush, then-vice president under President Ronald Reagan, delivered the address during the university’s 132nd Commencement exercises in May 1985. R. Gerald Turner, president of Southern Methodist University since 1995, was chancellor at UM at the time. 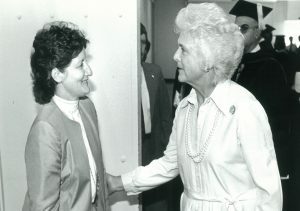 Turner remembered “intense” preparations between the time Bush agreed to attend Commencement and his arrival on campus. Despite the Secret Services’ best efforts, Bush threw caution to the wind on one occasion, Turner said. Other former UM staff members who worked the events connected to Bush’s appearance include Chancellor Emeritus Robert Khayat; Leone King, former assistant to the chancellor; and Robert Jordan, former director of university photography. Jordan, an award-winning photographer at UM for more than three decades, took pictures before, during and after Commencement. His memories of the late president’s visit remain vivid years later. 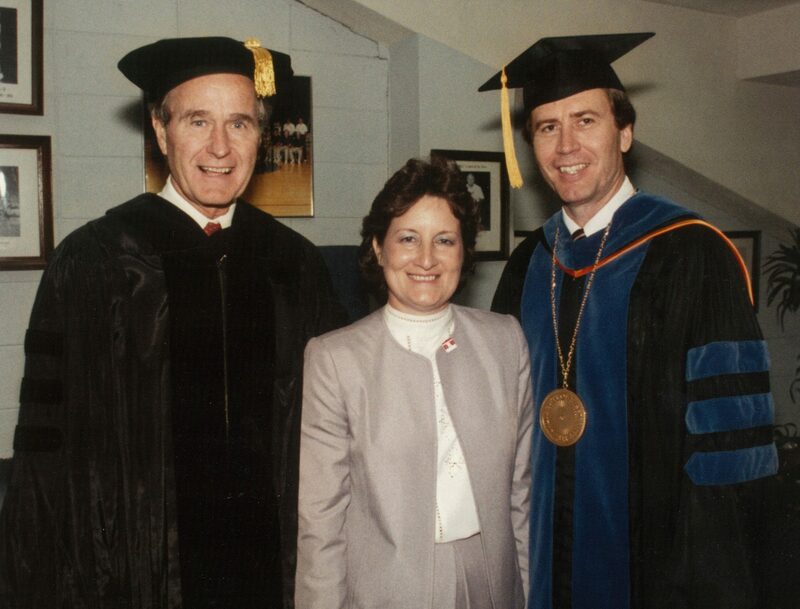 Following the Ole Miss visit, Turner maintained close contact with the Bush family, even after he left the university 11 years later. “Because his son’s (George W. Bush) presidential library is housed at SMU, we’ve had both ’41’ and ’43’ on our campus and in our home on several occasions,” Turner said.